Rush-Co Tailored Covers | Mower Covers - Long lasting. Hard working. Rush-Co produces brand specific rotary disc lawnmower covers that meet or exceed OEM specifications. Our exclusively tailored covers are designed to fit each brand specifically and do the best job in the industry. Protection for the operator, tractor, and surroundings is maximized through the use of 40 oz. P.V.C. fabrics with the highest puncture resistance levels for the disc mower industry and meet all of today’s requirements for chemical exposure. 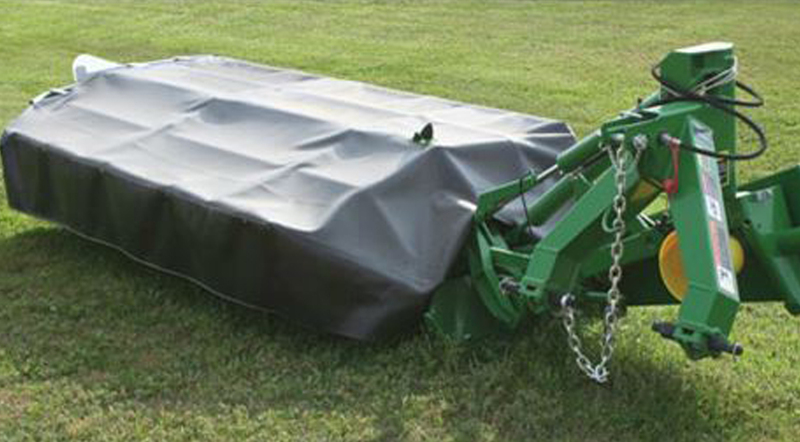 Our affordable mower covers are made in the USA with the highest quality materials to provide an ideal solution for protecting your equipment investment. Contact us today to get a quote and lead time information at 1-866-776-5617.